Of all the memorable moments England football team enjoyed during their summer sojourn to the World Cup semi-finals, the one that changed Dele Alli the most came in the back of a taxi, Evening Standard reports. Travelling from the team’s base in Repino to a St Petersburg hospital the day after England’s opening match against Tunisia, the 22-year-old could have been forgiven for fearing the worst. Dele had been substituted 10 minutes prior to Harry Kane’s stoppage-time winner, having sustained a thigh strain during the first half. He took the 45-minute journey into Russia’s second city for a scan which would determine his fate. “As I got out, the taxi driver gave me a bracelet and said it was good luck,” he said. The scan revealed there was no tear, and although the Tottenham midfielder missed two matches and required time to get up to speed, the diagnosis ultimately enabled him to play a full part in the knockout stages. The bracelet joins a lengthy list of superstitions: an eight-minute ice-bath on the eve of a game; a small piece of tape placed on his left knee unrelated to any injury; and wearing the same shinpads since he was 11. With that bracelet tucked away in his luggage, Dele headed for St George’s Park as England reconvened to begin discussing and reviewing the wider impact of their remarkable run to the last four of the World Cup. These first squad get-togethers following a tournament have habitually been sombre affairs. Manager Gareth Southgate said last Thursday, “It’s been a while since we’ve come out of a tournament without needing a root-and-branch review.” None was more miserable than two years ago, when England had to face up to a rigorous post-mortem of Euro 2016 and one of the most humiliating defeats in the country’s history. 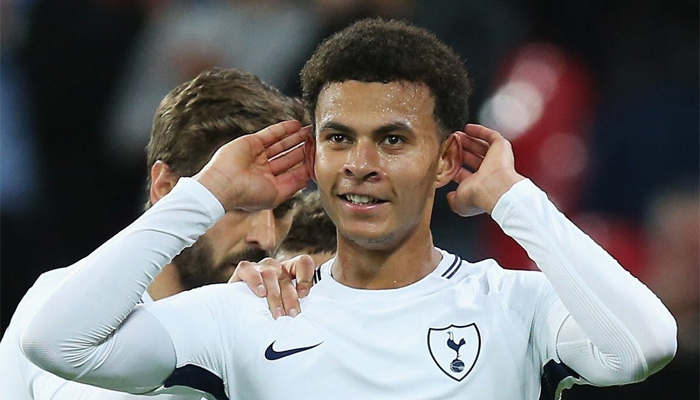 “It’ll be good to see all of the boys again,” Dele told Standard Sport. “Last time after the Euros, you didn’t really want to look into it too much, but we knew we had to talk about the last-16 defeat to Iceland to get over it.